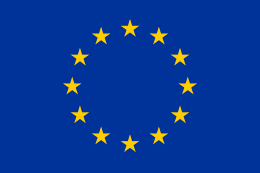 On 12 June 1994 the fourth direct elections to the European Parliament were held in the France. Six lists were able to win seats: an alliance of the centre-right Union for French Democracy and the Gaullist Rally for the Republic, the Socialist Party, the Left Radical Party, the French Communist Party, the National Front and Philippe de Villiers' eurosceptic right-wing dissident UDF list, which formed the Majorité pour l'autre Europe. 53.5% of the French population turned out on election day, actually an improvement on the last election in 1989. The Greens, who were weakened by an Ecology Generation list led by Brice Lalonde (winning 2.01%) and also suffering from internal divisions between the party's left (who wanted an electoral alliance with the Soécialists and the left) and the right (rejecting all alliances), lost all 9 seats won in 1989. Arlette Laguiller's Trotskyst Workers' Struggle (2.27%), Jean-Pierre Chevènement's left-wing eurosceptic Citizens' Movement (2.54%), the L'Europe commence à Sarajevo List (1.57%) and the agrarian populistHunting, Fishing, Nature, Traditions (3.96%) were among the notable lists which did not pass the 5% threshold. With 14.49%, the Socialists, the party of President François Mitterrand, whose list was led by Michel Rocard suffered its worst result ever in a European election, losing votes mainly to the Radical list led by wealthy businessman and a protégé of Mitterrand, Bernard Tapie. 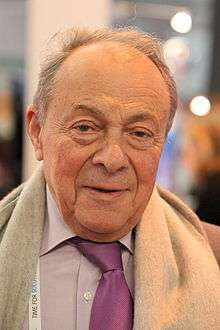 Most analysts agreed that Mitterrand supported Tapie's list behind the scenes, since Rocard was a personal rival of Mitterrand and he wished to destroy Rocard's chances in the 1995 presidential election. In fact, Rocard resigned as First Secretary of the PS shortly thereafter and did not run in 1995 – Lionel Jospin was the Socialist candidate. The other surprise was Philippe de Villiers success. Villiers, the President of the General Council of Vendée, was a eurosceptic member of the liberal component (PR) of the pro-European UDF. He won a surprisingly strong 12.34%, and his thirteen MEPs formed the nucleus of the Europe of Nations group. However, his success did not lead him to immediate political successes – he polled barely 4% in the 1995 presidential election.